Cape Town: Thursday 7th March 2013 - espAfrika, organiser of the Cape Town International Jazz Festival (CTIJF) today announced the addition of three new acts for the 14th chapter of the international music event, now billed as Africa’s biggest and best. In addition to the more than 37 artists already announced for the 14th CTIJF, an excited Festival Director and espAfrika CEO Rashid Lombard said that the Dainius Pulauskas Group, Portico Quartet and Cape Town band PHFAT will also take to the stage at the Cape Town International Convention Centre (CTICC) on the weekend of Friday 5th and Saturday 6th April 2013. Today’s announcement completes the full line-up for this year’s festival, which will see some 41 artists from countries across the world as well as from within South Africa descend on Cape Town for the 2013 event, the 14th of its kind. The Dainius Pulauskas Group is one of the most influential and active Lithuanian jazz outfits and considered to be the ambassadors of Lithuanian jazz. Jazz critic Jan Patterson described the group as a “unique sextet whose mixture of melody and muscle, lyricism and the unexpected, places it firmly at the forefront of progressive European jazz-fusion”. It is supported by the Embassy of Lithuania to the Republic of South Africa. London Portico Quartet is acclaimed for its distinctive sound created by their use of the 21st century percussion instrument called the hang. Due to release a new album this month, Portico Quartet set to perform one the Moses Molelekwa stage, is known for taking their audiences on an electro-acoustic-ambient music journey like never before. Their music is described as strange, beautiful, cinematic and futuristic, and South Africans will experience it thanks to the support of the British Council. Rapidly growing in popularity is PHFAT, a three-piece band from Cape Town that produces a unique blend of psychedelic, bass and rap music will perform on the Bassline stage. PHFAT cut their teeth at local gigs such as Splashy Fen and Oppikoppi, releasing their first album in 2011. Nominated for Best Dance Video at this year’s MK Awards, PHFAT were awarded a MK MVP for their hit single City Of Thieves which is currently number one on MK Top 10 and enjoying extensive coverage South African radio stations. PHFAT’s next album is due for release later this year. Lombard went on to announce an exciting addition to this year’s music celebration in the form of top DJs who will work their recorded music mixing and blending skills on two stages at the Cape Town International Convention Centre (CTICC) during the festival. Raiko, considered one of the most hard-working DJs on the South African hip hop circuit, will showcase his talents on the Bassline stage on Friday 5th April. Raiko made a name for himself in Cape Town in the early 2000s and has come up through the golden era of hip hop. Known for smooth, technical sets, he has taken the DJ spotlight across South Africa and in Europe. He has also been DJ for two artists performing at this year’s festival - Ben Sharpa and Khuli Chana. Das Kapital may be the critical analysis of political economy by Karl Marx but it is also the name of a 22 year-old Cape Town-based electronic music producer and DJ, who started producing beats at the tender age of 13. Drawing a lot of inspiration from rave music Das is known to rely on a heavily electro-driven bassline to get any dance floor jamming. He will thrill audiences on the Bassline stage on Saturday 6th April. 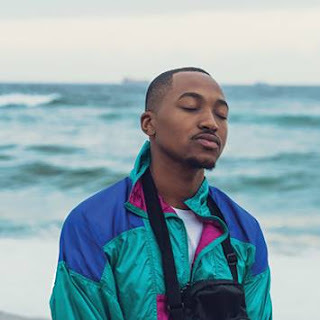 On the Manenberg stage on the Friday and Saturday respectively will be two DJs from Cape Town, Mr Mo known for his R&B and hip hop ‘combos’ and DJ Azuhl, who has fast become a household name on the South African hip hop and DJ scene. Mr Mo - aka Andre Swanepoel - started his career in the music industry as a radio presenter, later setting up a production company specialising in live music events, festivals and corporate events. He plays a diverse mix of music with a keen focus on funky disco and breaks. Ricardo Nunes - DJ Azuhl- started out as a dancer and MC before becoming a DJ and producer/remixer. He has been involved in the hip hop scene since the mid-1980s yet also moves across musical genres such as funk, soul, dub, house and rock. His club appearances and performances are too many to mention and he has also taken the limelight internationally. DJ Azuhl researched, co-produced and presented South Africa’s first Afrikaans hip hop television series and is actively involved in youth development. Lombard added that the CTIJF actually commences well before the first weekend in April, with 10 different sustainable training and development (T&D) initiatives kicking off prior to the two-day performance schedule. As well as the Department of Arts and Culture, the SABC and the City of Cape Town, this year the National Lottery Distribution Trust Fund (NLDTF) and the South Atlantic Arts and Culture Trust has come on board as a principal funder of the T&D arm of the festival. Sponsors of this year’s event includes the Department of Arts and Culture and the broadcast sponsor, the SABC. Through the festival’s non-profit organisation, the South Atlantic Arts and Culture Trust, the National Lottery Distribution Trust Fund (NLDTF) is also on board as a sponsor of the Training and Development (T&D) arm of the 14th Cape Town International Jazz Festival (CTIJF). Artists already announced for the 14th chapter of the festival include Afrika Mkhize (South Africa), Auriol Hays (South Africa), Ben Sharpa and Pure Solid (South Africa), Buena Vista Social Club featuring Omara Portuondo (Cuba), Brand New Heavies (UK), Brother Ali (USA), BWB's Norman Brown, Kirk Whalum, Rick Braun (USA), CéU (Brazil), Chano Domínguez (Spain), Chef'Special (Netherlands), Cheikh Lô (Senegal), Claire Phillips (South Africa), Dubmarine (Australia), Errol Dyers (South Africa), Gregory Porter (USA), Ibrahim Khalil Shihab (Chris Schilder) (South Africa), Jean-Luc Ponty (FRANCE), Jill Scott (USA), Jimmy Dludlu (South Africa), Jonathan Rubain and Don Vino (South Africa), Kirk Whalum – Romance Language (USA), Khuli Chana and AKA (South Africa), Louis Moholo presents 4 Blokes & 1 Girl (South Africa), Mafikizolo (South Africa), Mi Casa “My House” (South Africa), Pu2ma (South Africa), Reza Khota Quartet (South Africa), Robert Glasper Experiment (USA), Ronin (Switzerland), Sonti (South Africa), Steve Turre (USA), Thandiswa Mazwai (South Africa), Trenton and Free Radical (South Africa) and Zonke Dikana (South Africa). 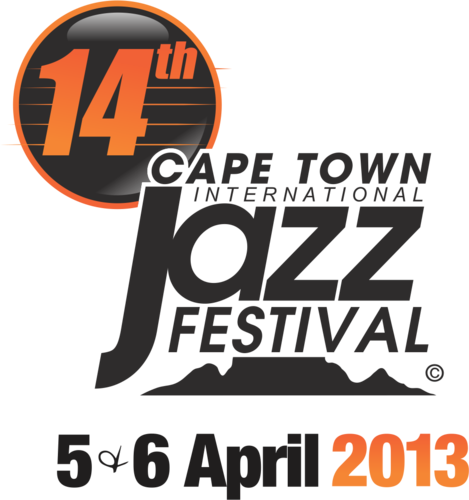 For further information, please visit www.capetownjazzfest.com.